There are two ways to use newspapers and magazines as marketing tools for your B&B business, the first is paid advertising and the second is being featured in articles, whether you write them yourself or not. Many B&B's pay to advertise in newspapers and magazines and find it a good way of drumming up business. These days print advertising is on the wane, to a large extent being replaced by internet advertising, but this presents opportunities for advertisers. For one thing you can drive down the price of the advertising as the competition gets fiercer, and also your advert will stand out more as there'll be fewer adverts around it. The other side of the coin is, of course, that fewer people will see your advert as sales of newspapers slowly drop. Magazines in some sectors are experiencing a revival as printing technology makes it easier and cheaper to produce more niche magazines with smaller print runs. The problem here is deciding which of those magazines to choose from. If you are in a niche market yourself, perhaps targeting bird watchers because of the interesting birds in your area, or water sports, then it's easier to pick out the magazines that might be effective to advertise in. 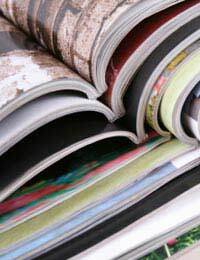 If not, then think about the age group that you are marketing to and select general interest magazines that target them. Think about whether it's the women or the men that tend to make the bookings and then try some male or female oriented magazines. Paid advertising in newspapers and magazines is a bit of a hit and miss affair so it's vital that you set an advertising budget, money that you can afford to experiment with, and keep track of the adverts that you run and how successful they are. This of course implies that you have processes in place to ask guests, and people making enquiries even if they don’t book, where they got your details from. It has to be said that it's essential to have that mentality anyway, even if you're not advertising in newspapers and magazines. But it can be used to work out which adverts are delivering for you so that you can save money by not bothering with repeat adverts in the rest. Writing articles for newspapers and magazines can be more effective than advertising because people are more likely to read them and will feel that they know something about you. But there is a real danger with this one, in that writing articles to magazine standard is a vocation in itself and it could take precious time and focus away from running your core business, the B&B. However, particularly in a niche business, if you can write the odd article, perhaps about the attractions in your area or specific events or stories related to your niche market, then they can be very effective. On a lower level you could perhaps generate interest by writing into readers' letters pages in magazines, perhaps with amusing stories about the things that go on in your B&B, but be careful not to put guests down. Can Somebody Else Promote Your Business? If this is an area where you don’t even know where to start, much less feel confident about doing successfully, then it might be worth asking a local freelance writer or PR company to have a look and see what they can do on your behalf. The rules are the same as print advertising, set a budget and monitor how effective it is by gauging the number of customers that are generated by this marketing effort.